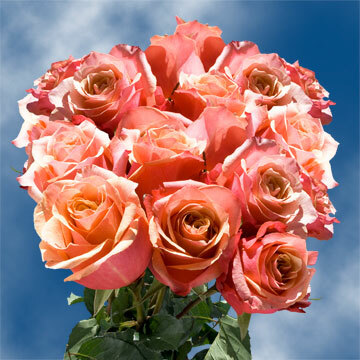 The Cherry Brandy Orange Pink Rose is an exciting duo colored Orange and Pink floret that has a stunning presence. 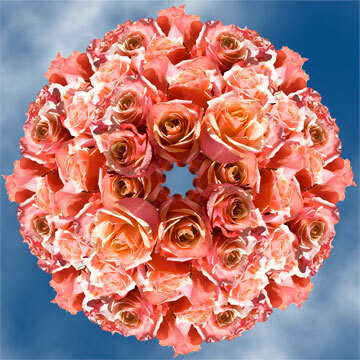 With its spectacular characteristic full star bloom, it is sure to whoa and impress both guests and onlookers a like. It is suited as the centerpiece for that perfect sunset beach wedding, fall family reunion, or that exciting ladies hen party. 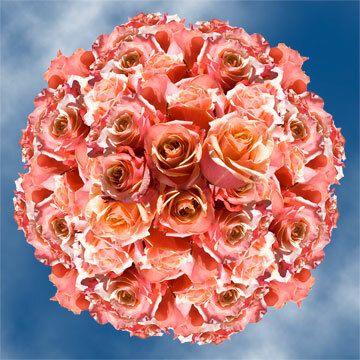 Such a wonderful and vibrant blossom it is appropriate for any event, as it provides a delicate and elegant touch of color to any floral arrangement. 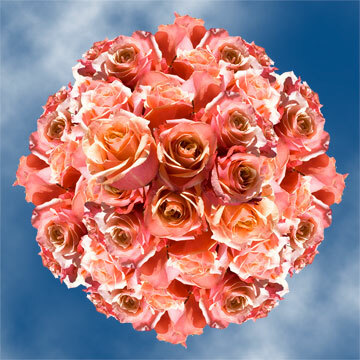 These flowers can take center stage and be the life of the party or add a hint of color to another wise bland bouquet. 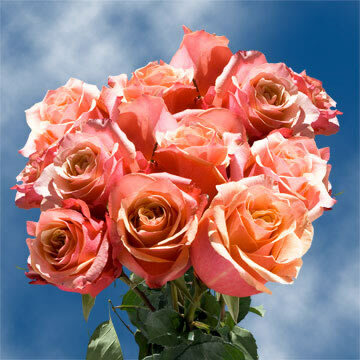 These Orange Pink roses, like all of Globalrose.com's florets, are grown to maturity in industry leading greenhouses. Our products are packed in a special way to insure freshness as they arrive to your doorstep. Shipped via FedEx, your products will arrive in a closed blub state and will need only a couple of days to reach its full bloom. 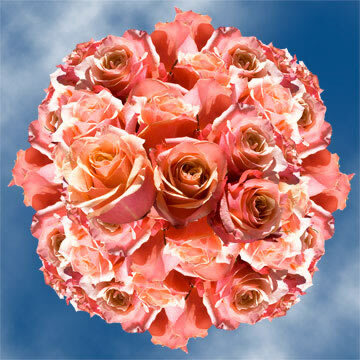 When its bloom has reached its zenith, the bulb will take the shape of a large beautiful cup.